Home News Blog FAA Drone registration in the USA is BACK! FAA Drone registration in the USA is back with immediate effect. After a brief rest-bite, recreational drone flyers in the USA again have to register to be legal. 2017 has been a bumpy road for the FAA & US drone owners. Registration has been an on/off issue, with a court ruling in May 2017 that the Federal Aviation Authority did not have the power to regulate model aircraft (drones). In truth, UAV registration in the USA never went away. You could still register your drone through the FAA website. There was no indication through-out the process that there was NO legal requirement to do so. This led many to believe that the FAA would have another stab at resolving the issue. The answer came in the form of the 2018 National Defense Authorization Act, which President Donald Trump signed on the 12/12/17. The NDAA is designed to authorise appropriations for fiscal year 2018 for military activities of the Department of Defence, for military construction, and for defence activities of the Department of Energy, to prescribe military personnel strengths for such fiscal year, and for other purposes. Now that president Trump signed the rule into law, the FAA has jurisdiction over all civilian drones. Its important to know that this is law is from “immediate effect”. If you live in the USA or are planning a trip, you need to register your drone. Its a straight forward process through the FAA website. It will cost $5 per registration. Important to not if you own three drone, you only need register ONCE. You will then need to label every drone you own over 250g with the same number. There are heavy potential penalties for not registering your UAV. Civil fines of up-to $27500.00 with criminal fines up-to$250,000.00 and a potential three years in prison. At 305g, yes, the DJI Spark drone needs to be registered. 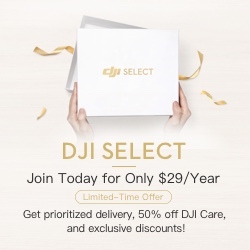 Just think if DJI could have shaved 55g off from somewhere? 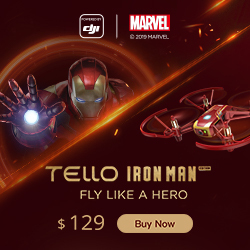 They could have cornered the drone market. Will the rest of the World Follow? Already Canada have looked to enforce stronger restrictions on recreational UAV use setting a maximum 90m rule. In the UK, the 2018 Drone Bill is set to be law 2018/19. It to will look toward drone registration and improved NFZ for airports and sensitive areas. Read more..
CAA, Donald Trump, Drone, Drones, FAA, Ikopta, Law, legislation, Mavic Pro, president, quadcopter, UAV, unmanned air vehicle, USA. Bookmark.